Flame retardant furnishings are a legal requirement in many places that the public have access to, and this goes for care homes. In the past, flame retardant furnishings have been made from unattractive and uncomfortable fabrics. We at Hill and Hill understand that while you need to meet fire safety guidelines in your care home, you also want to create a welcoming and comfortable environment for your staff, residents, and any visitors to your establishment; our range of flame retardant soft furnishings will tick all your boxes for quality, style, and comfort. 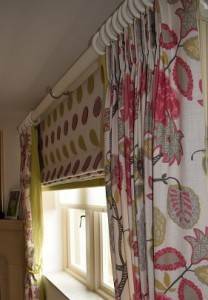 Our range of furnishings and flame retardant curtains really do stand out from the crowd, in terms of both quality and style. Whether you are looking for something plain and subtle, or something a little more daring, you'll find it all in our impressive range. Some of the most popular options for flame retardant furnishings are our waterproof fabrics. These lend themselves particularly well to use in the care home setting. One reason for this suitability is ease of cleaning. Our specialist, waterproof flame retardant furnishings are a breeze to keep clean, which is ideal in the care home setting where spills need to be handled quickly and safely. Furthermore, many also have antibacterial properties and can be washed at 70°C, making them extraordinarily hygienic. Our soft furnishings are the icing on the cake in your care home. They can have a dramatic effect on the aesthetic of a room, adding warmth and character instantly. As we have an incredibly diverse range of flame retardant soft furnishings and fabric choices, you can tailor your interior to meet your needs perfectly. If you are interested in our flame retardant furnishings and would like to know more, please don't hesitate to get in touch.